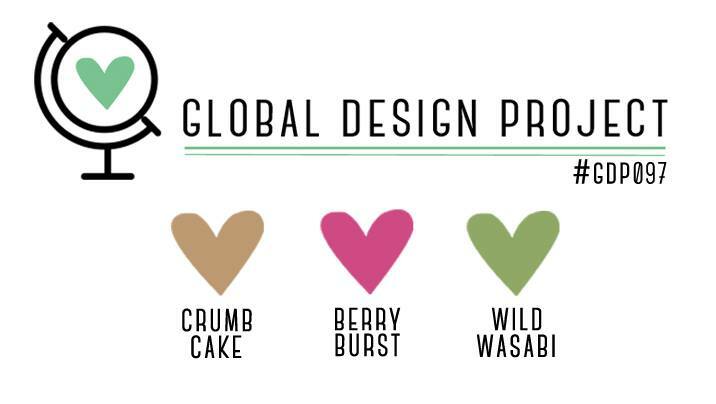 The colours for this week’s challenge are Crumb Cake, Berry Burst and Wild Wasabi, not one’s I’d usually use together but I think they work quite well with addition of lots of white. The stamps in Tabs for Everything are very small and I think using several of them in a bold colour – like Berry Burst – is the trick to helping them become the star of this simple card. A swish in Crumb Cake from the Work of Art stamp set creates a subtle background and helps the words stand out even more against all the white on the card front. I really felt inspired to create an encouragement card after stamping all the lovely affirmations on the front and paired the “don’t forget” with a stamp from Dare to Dream to create the inside sentiment. The little elephant was too sweet to leave out and tied in nicely with the sentiment so was stamped underneath and coloured with the solid image and just the outlines across the bottom. A quick and easy card today, perfect for anyone who might need a pick-me-up – we’ve all been there – I hope you liked it. This is such a clean and awesome card! Karen, I love that you used a stamp set that was designed for your planner and used it on a traditional card. Your card is so adorable.Thanks for playing along with our color challenge this week at Global Design Project.